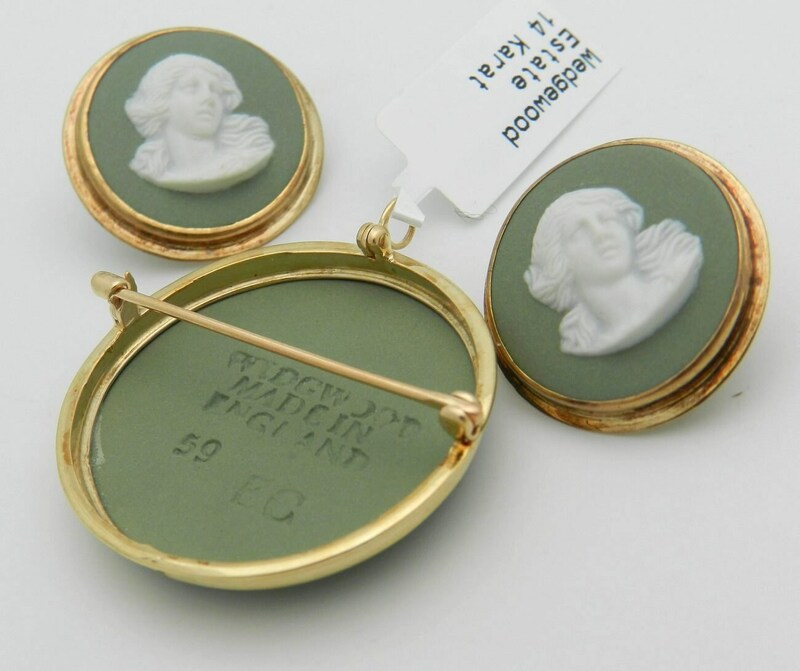 Antique Vintage 14K Yellow Gold Wedgwood Cameo Earrings Pin Pendant Set. This gorgeous set is made in England. 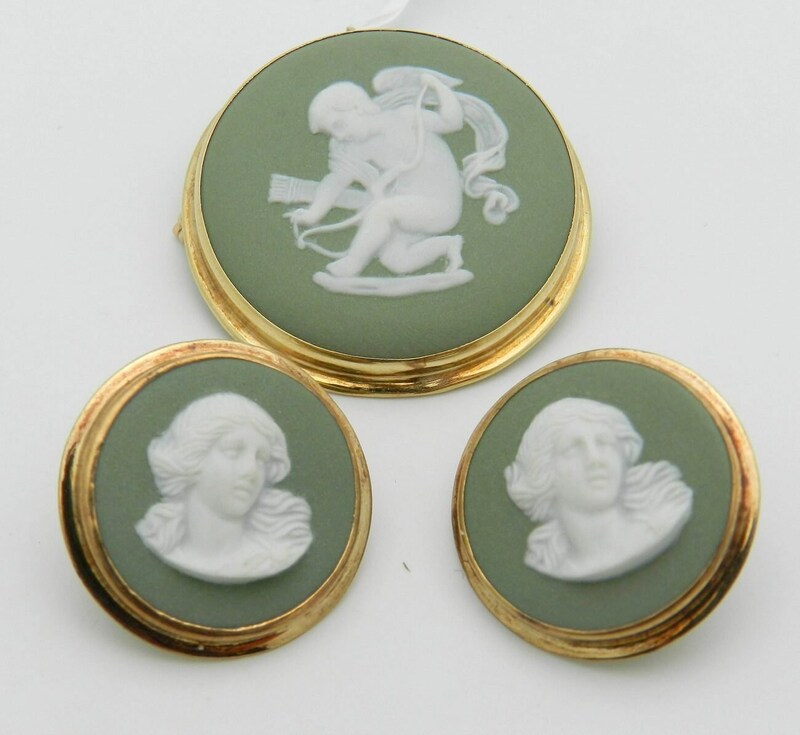 This set includes a pair of earrings and a brooch that can be worn as a pendant. All the pieces in this set are 14KT Yellow Gold. 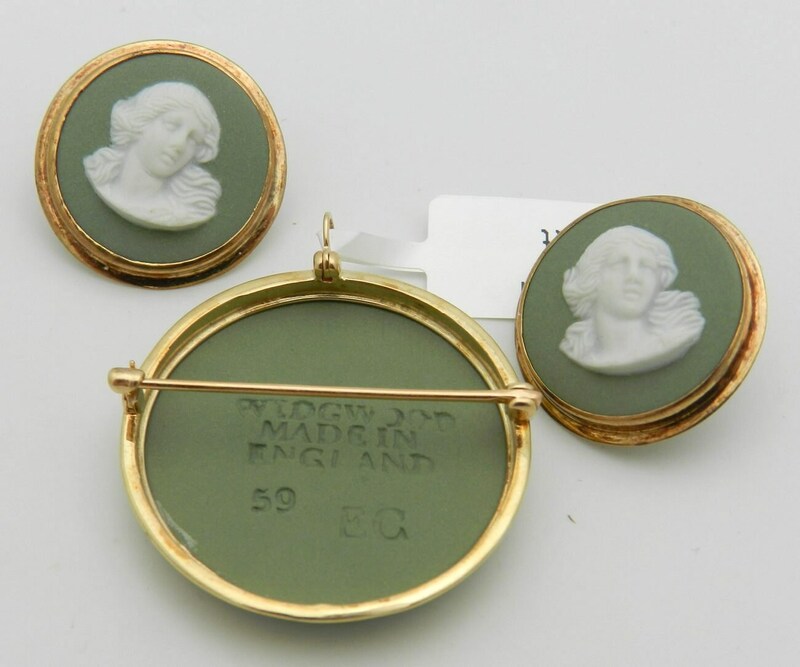 The earrings measure 21 mm in diameter, weigh a total of 5.2 grams and friction posts for pierced ears. 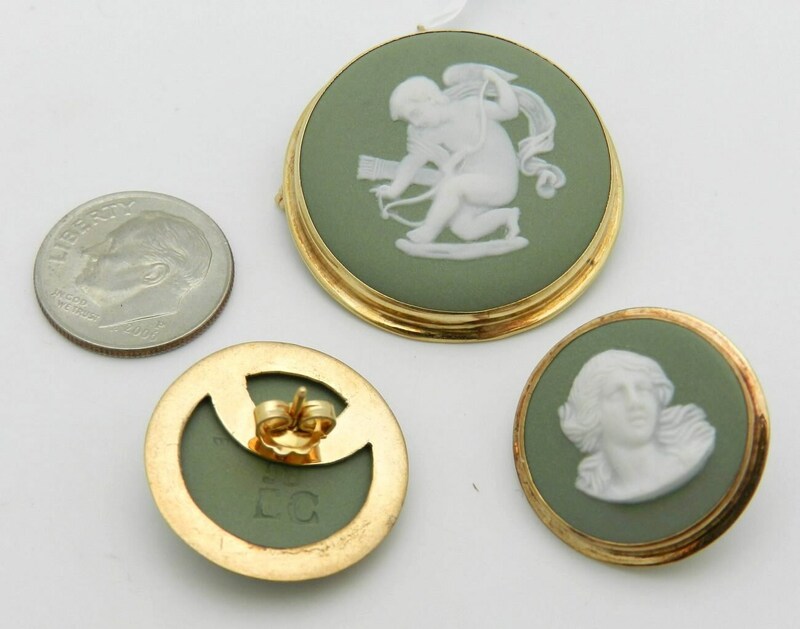 This pin/pendant measures 31 mm in diameter and weighs 6.0 grams. This brooch can be worn as a pendant and has a movable bail. 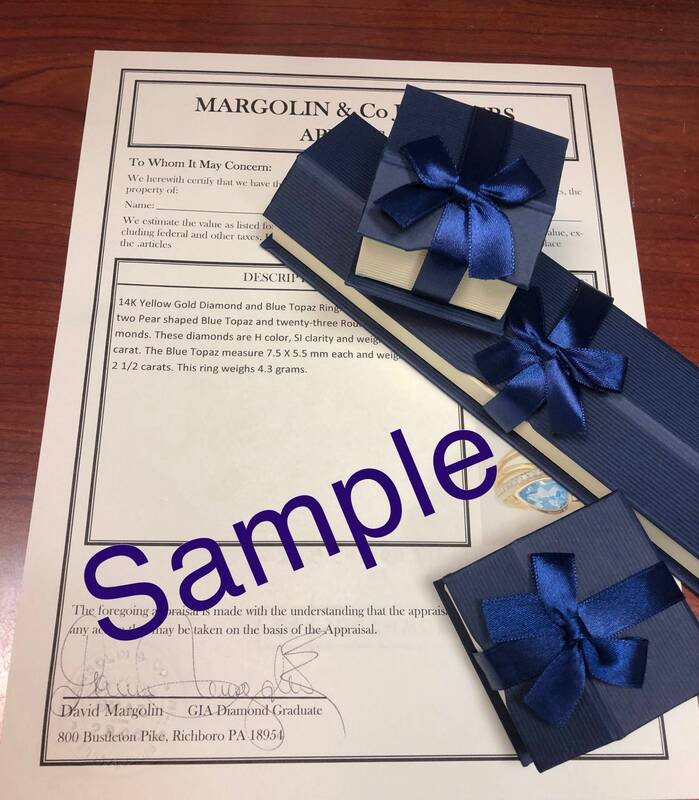 All the pieces are 100% Genuine and Authentic and will be accompanied by an appraisal by a GIA Certified Diamond Grader with the replacement value of $1,689.00. I will ship this pin and earrings promptly in a beautiful gift box.